Dental treatments can drill a deep hole in your pocket as the bulk of dental care is not covered by provincial public health care plans. Yelping sounds are not unusual in a dental clinic as some procedures can be painful, but it could also be that of a patient looking at the bill for services rendered. With the exception of certain community funded programs, Torontonians for the most part, rely on insurance policies or their own wallets to cover dental treatment costs. 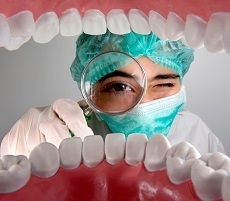 Common dental treatments like cleaning, filling, x-rays and braces are covered by insurance. Others like root canal treatments, dentures and implants might involve a co-payment. Although most dentists follow the fee guidelines released by the Ontario Dental Hygienists Association, the cost depends on the severity, damage and position of the affected tooth. Any treatment involving anesthesia and molars is considerably expensive. 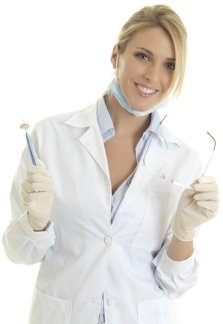 Very few private and group insurance plans cover the costs associated with cosmetic dental treatments. If you are scouting for affordable dentistry in Toronto and the GTA, here are some options, you can consider. Central Toronto Community Health Centre: This clinic provides dental treatments like scaling, filling, extraction, dentures, root canal treatment and crowning at reduced cost for youth and adults. To know more about other low cost community clinics, click here. If you are not skeptical about students working on your teeth and have the patience to put up with trainees, you can check out the UofT, College of Dentistry or visit Wave Dental Clinic, George Brown College. The understudies in these dental colleges successfully treat patients of all age groups under the supervision of doctors. Treatments offered here are pit filling and sealants, braces, bridge and implants, dentures, root canal and crowning and extraction of wisdom teeth. They are cost effective and satisfactory but the process can be a long drawn one as it is an in house training facility for the students. Club Dental is another good option for affordable treatments for a nominal membership fee. With their club card you can avail 25% off your bill every time you see any dentist in their network in Toronto and the GTA. College Street Dental (Toronto) offers attractive discounts for students looking for dental treatments including braces. Altima Dental Care offers 0% financing on approval of credit for treatments over $500. They take a 10% deposit fee and an application fee. If you have a good credit rating this is another option to look into. Just check their website and choose one of their multiple locations in the GTA. Free services are offered by public health programs for low-income families without dental insurance for whom the costs can be impinging. Some proof and documentation is necessary for availing these services. Children and youth (ages 0-17), adults and seniors (ages 65 and older) who qualify are offered free screening, filling, cleaning, extraction, x-ray and emergency dental care. Denture costs may be covered but you have to bear the laboratory cost for dentures and repairs. Some of these programs are OPHS Child Health Program, The Children in Need of Treatment (CINOT) and Healthy Smiles Ontario (HSO). The Region of Peel Mobile Dental Clinic runs free prophylactic services like sealants, fluoridation and scaling for youth and children. We are all aware that regular brushing and flossing is the key to having healthy teeth and the best way to keep cavities and gum diseases at bay, so follow the regime meticulously. Clean your gums and tongue using a soft brush. Invest in an electric toothbrush with multiple heads for thorough cleaning between teeth. Avoid sugary drinks and desserts at night. Encourage your kids to brush and floss before bed time as kids are more easily prone to cavities. Oral health is synonymous with overall health so don’t compromise on your oral hygiene.